As parents, we sometimes struggle with kids who defiantly don’t want to listen to us. If this is a challenge you face, imagine what your life would be like if you could create an even closer relationship with your child and set limits in a way that helps the whole family. That’s what this free, LIVE webinar aims to help you do. Dr. Don MacMannis will be hosting The 4 Essential Keys to Parenting Strong-Willed Kids webinar to help parents navigate their children’s environment and reactions. Once on Wednesday, October 4th at 6PM PT/8PM CT/9PM ET (and stay tuned for an encore presentation several days later!) This project is the culmination of over forty years of research and practice. Dr. MacMannis will be presenting a highly entertaining and innovative way to raise happy, respectful children. In his 75-minute live webinar, Dr. MacMannis will be discussing four essential keys that every parent can learn from. Moms today have challenges enough with things that they have very little control over—the demands of family life, work, traffic, paying bills, etc. What breaks my heart is to see so many parents struggling needlessly with their strong-willed kids, rather than learning tools that can truly change things for the better. Why suffer when you don’t have to? Strong-willed children are very special and unique, yet challenging in how reactive they can be. A combination of social, emotional, biological, and family systems factors needs to be assessed and integrated into an effective program for change. It’s essential to reduce anger and deal with emotional upsets in healthy and constructive ways in order to turn things around. Dr. MacMannis will be sharing the latest brain research which has important implications for preventing and breaking negative cycles of interaction. This key focuses on the creation of a positive atmosphere by using methods of modeling, praise and incentives, and by learning to pick your battles wisely. You’ll understand the value of offering choices and actually becoming less “attached” to outcomes. Strong-willed children also respond best to structure and consistency. You’ll learn how to provide healthy limits with age-appropriate consequences— an essential container for behaviors and feelings that helps kids feel less anxious and better about themselves. About the Parenting Strong-Willed Kids Webinar host: Child psychologist Don “Dr. Mac” MacMannis has helped kids and families for over forty years. 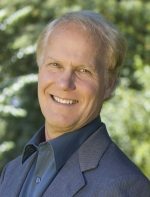 A graduate of Dartmouth and the University of Virginia, he is the Clinical Director of the Family Therapy Institute of Santa Barbara and co-author of two highly acclaimed parenting books — How’s Your Family Really Doing? and Who’s the Boss? He recently won the title of “Best Family Therapist” in a poll taken by SBParent.com. MacMannis also specializes in creative projects for young children. He was music director and songwriter for the PBS hit, Jay Jay the Jet Plane, and has also written for Mutt & Stuff on Nick Jr. His Happy Kids Songs are an award-winning series of fifty songs and activities that build character, social and emotional skills. In high demand as a presenter on a variety of topics related to parenting, he has been featured in national newspapers, magazines, radio programs, CNN, Time Magazine, Inside Edition, Time for Kids, AOL, and At Home-Live.